Several years ago, I set out to build a suite of online tools to help people become happier and more resilient. The plan was to use what we have learned in the last 40 years from the field of Positive Psychology to help people. 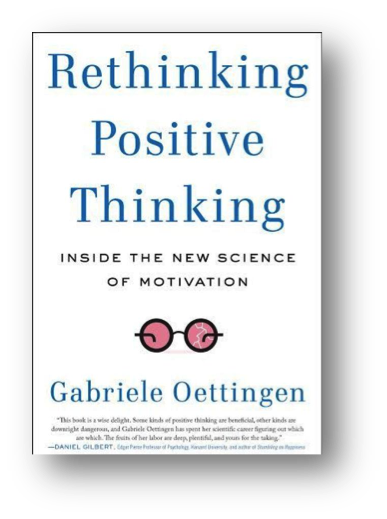 Please meet Gabriele Oettingen, PhD, author of Rethinking Positive Thinking. (I wish had several years ago!) Oettingen is a professor of social and developmental psychology at NYU and she set out to prove that visualization and fantasizing (eg; positive thinking) are scientifically valid techniques that help people achieve their goals. In fact, Oettingen was confident that that science would prove what so many of us already believe when we tell others to just stay positive, believe in yourself or keep a positive attitude. In one of her earlier studies, Oettingen asked German university students to fantasize about their future employment. She told them to think about a great interview, crisp new business cards and a nice office. When she checked with them two years later, it turned out that the students that fantasized more often were less likely to be employed and had lower salaries. In another study, a group that wrote about positive fantasies made less progress towards their goals. These were some of her first clues that something might be ‘wrong’ with positive thinking. It turns out that our minds do not know the difference between the fantasy and reality. When you picture yourself getting the promotion, winning the sale or owning your dream house, the brain thinks it really happened. Your systolic blood pressure is lowered (this isn’t a bad thing, by the way! ), but so is your motivation. So, Oettingen introduced the idea of mental contrasting to subsequent studies. Now,after engaging in positive fantasies about their goals, study participants were instructed to think about what could go wrong in pursuit of their goals. Mental contrasting helped study participants identify multiple obstacles (even if they only imagined one) and prepare to overcome these obstacles. It also aided in identifying achievable goals. It helps us remember negative feedback that we can incorporate into our plans. People who fantasized without the contrasting were less likely to remember negative feedback. It helps people see obstacles as they arise. Fantasizing alone can leave people blind to obstacles. Mental contrasting does not increase goal attainment for those who do not believe they can truly reach a particular goal. It can be used as a tool to consider feasibility. Fantasizing was linked to goal achievement for simple, easy-to-reach goals. As goals become more difficult, fantasizing seems to be its own obstacle. Wish: Identify a meaningful goal that you would like to achieve today, next month, next year, etc. Outcome: Go ahead and fantasize about how great it would be to reach this goal. What is the best thing about it? How will your life be better? Obstacle: Now, consider the most critical,internal obstacle that is keeping you from your goal. Is it your confidence? Is it your ability to manage time? What beliefs or habits may be holding you back? Plan: Using the “If…then…” format, consider the thoughts or actions to apply when the obstacle presents itself. 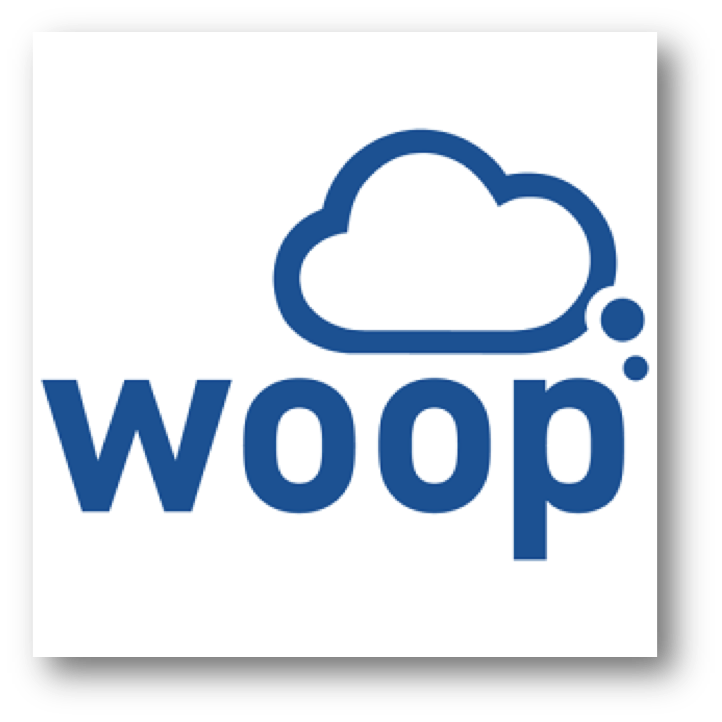 So, the next time I try to build a happiness web site, I will WOOP my goal and recognize my distaste for online marketing so that I find a partner who offsets my weaknesses! Best of luck with all your goals and have Happy New Year (with a healthy dose of negative thinking). Next month: The Upside of Your Dark Side by Todd Kashdan and Robert Biswas-Diener.